Southampton scientists have found that an immune response in the brain plays a key role in the development of Alzheimer's, and that a vaccine designed to tackle the disease was able to suppress the response. The findings culminate a decade of research following up on a phase I trial of the vaccine, funding by Alzheimer’s Research UK and Medical Research Council (MRC). 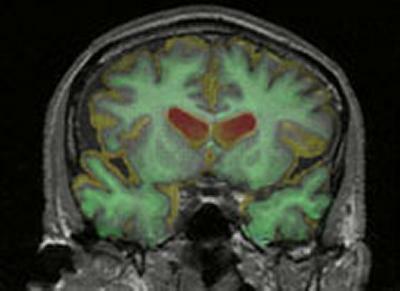 A subsequent, phase II trial was halted when some participants developed brain inflammation – but the University of Southampton team believes the findings suggest the trial may have been more successful if performed earlier in the disease process. Published in the journal Brain online today (Wednesday 14 August), the new findings come after the team examined brain tissue from people who took part in a clinical trial of the AN1792 vaccine over a decade ago. The trial, which involved people with mild to moderate stage Alzheimer’s disease, was designed to test the safety of AN1792, which aimed to remove the amyloid protein – a key component of the disease – from the brain. A phase II trial of the vaccine was halted in 2002 when a small number of participants developed brain inflammation, and results from the trial showed no improvement in people’s symptoms. Since then, researchers led by a team at Southampton have been working to fully understand the effects of the treatment on the people who took part in the original phase I safety trial. Crucially, the researchers were granted access to the data from this trial, and a number of participants from the trial volunteered to take part in follow-up assessments with the team, with many of them signing up to donate their brains to be studied after their deaths. Earlier research from the team showed that although the vaccine did not improve people’s symptoms, it did successfully remove amyloid from their brains. They showed that the vaccine worked by activating immune cells in the brain, called microglia, to remove amyloid – sparking a theory that the treatment may have over-activated the immune response and further contributed to the participants’ decline. In the latest study, the researchers set out to get a more detailed picture of how microglia are activated during Alzheimer’s, and how these cells responded to treatment with AN1792. The team compared brain tissue from 11 people who took part in the trial and 28 people with Alzheimer’s who were not part of the trial, investigating the levels of different markers of inflammatory processes in the brain. They discovered that in the brains of people who had not been treated, inflammation was linked to higher levels of a second protein, tau, which also builds in the brain during Alzheimer’s – suggesting that inflammation was a key part of the disease process. In contrast, brain tissue from those who had been given the vaccine showed fewer signs of inflammation. The results suggest that although the treatment initially activated the brain’s immune response in order to remove amyloid from the brain, this immune response was later suppressed – minimising potential long-term damage that may have been caused by over-activity of the immune system. “Our study not only adds to existing evidence that inflammation in the brain plays an important role in Alzheimer’s disease, but provides new hope for future clinical trials. Our research shows that amyloid can be removed from the brain without over-activating the brain’s immune system in the long-term, and this provides some hope for anti-amyloid treatments of the future. We believe that amyloid acts as an early ‘trigger’ for Alzheimer’s, and it may be that drugs targeting amyloid will need to be trialled earlier in the disease process in order to be successful. The paper Inflammatory components in human Alzheimer’s disease and following active Aβ42 immunisation is published in the Oxford University Press journal Brain (doi 10.1093/brain/awt210).